I will share a random day-in-the-life of working full-time and homeschooling that shows how we work homeschool around working full time. On Tuesday, Wednesday, and Thursday my oldest has soccer and I work with my younger two on supplemental learning. I do the bulk of my teaching on Monday, Friday, and Saturday or Sunday. On Tuesday, Wednesday and Thursday, the boys are practicing what they’ve been taught on the “teaching days”. So, here’s a typical Monday . . .
5:00am – I get up, make breakfast and get ready for work. I use this quiet time to get myself mentally ready for the day and to work on my websites and other business. 6:20am – I leave for work. After their school work is done, they do their chores. 12:00pm – Lunch for me or if I have to run an errand I do so around this time. The boys have screen time, outside time, or other leisure time after finishing chores and school work. Once dinner is started, we sit down at the table and do history (30 minutes), science (30 minutes) and “emotional intelligence” reading (20 minutes). Then I teach my oldest any new concepts needed and help him with anything he needs more guidance on from previous lessons. If there is time left and they need it, I work with my youngest two on their individual studies. Usually, though, I reserve Tuesday and Thursday evenings for working with them. 5:00pm – We clean up after dinner. If there is any unfinished homeschooling for the day, we work on it during this time. 7:00pm – I get my lunch and clothes ready for the next day if I’ll be working from the office. I make sure the boys’ folders are in order for the next day. 8:00pm – I try to be in bed by 8pm. I take about an hour to relax by watching Netflix or answering emails, etc. 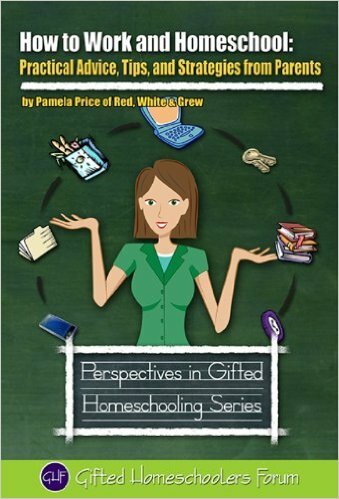 Recommended: How Much Time Does Homeschooling Take? 9:00pm – Lights out for everyone! As you can see, we don’t attempt to replicate school at home. If I wanted my children to have a structured school day I would put them in school. Homeschooling doesn’t take much time, especially if children are comfortable with a relaxed setting. As well, you can see that I’m not moving at a frantic pace to get everything done. I have a plan and a routine. I stick to it and it works. To save time and keep my focus on what’s important I don’t take phone calls during the week while I’m home. Also, you won’t find me parked in front of the TV during prime time. I put my phone on my nightstand when I get home from work and take a quick peak before bed for any missed calls or texts. Most of our family members get a special ring tone on our home phone, so we don’t even look at our home phone during the week unless it has the “special ring”. As for the TV (aka, the biggest time waster in your home! ), I just say no. We got rid of cable and now use services like Netflix and Hulu exclusively. As a result, I have to keep away from spoilers because I’m still watching new episodes in the middle of summer, but I’m not spending my evenings in front of the TV when I should be teaching my children! When I leave my job to work for myself, I’ll have more time for leisure. Until then, I keep my priorities in line. If you are considering homeschooling your children while working a full-time job, rest assured that it can be done. Be aware, though, that my children are older now and I was with them full-time when they were younger. My children are pretty self-motivated and don’t complain about school work. 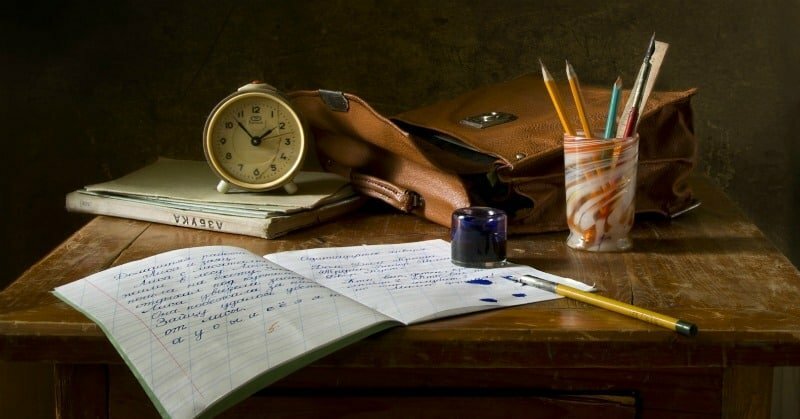 You may have a different dynamic in your home that needs to be addressed before working full-time and homeschooling will be successful for your family. In conclusion, working full-time and home schooling does require stamina some days. I wouldn’t say it’s much more than the average parent has to deal with when it comes to homework, though! Truthfully, teaching and learning alongside my children is one of my top three favorite things about motherhood, so it’s a labor of love without doubt. Check out How to Work and Homeschool for more information! *Update: As of July 2016, I left my full time corporate job to become self-employed. ** Some of you have asked about how childcare worked in our situation. I don’t talk about our caregivers much in this article because homeschooling our children was NOT part of the responsibilities they were hired to perform. Only in the first few year or so did we have a caregiver who helped with the homeschooling. She only worked with my youngest. Eventually, he was old enough for more independent learning and we never again asked our caregivers to participate in homeschooling or teaching.